So I just found out that I’m getting to go to Disney with my mom for my 18th birthday and so I decided to share my pin collection! 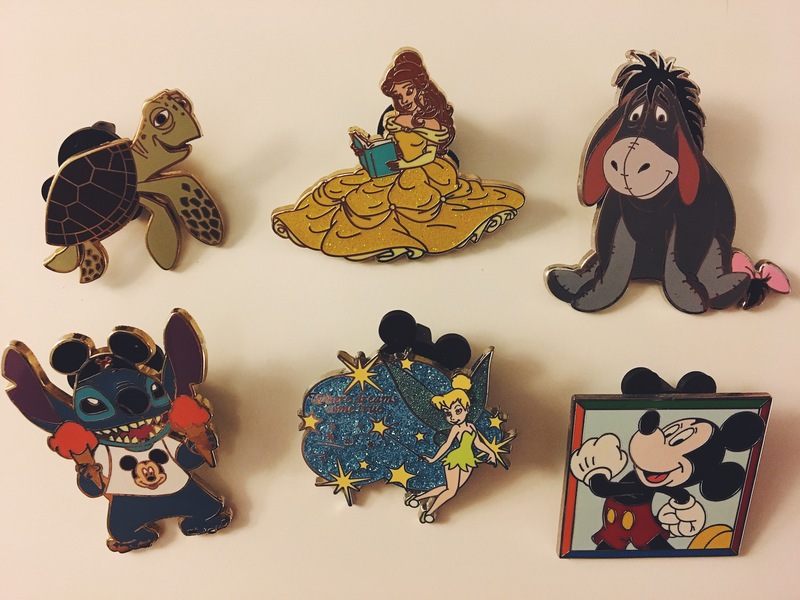 I started collecting pins the first time I went to Disney when I was little and I have been hooked ever since! Every time I go to Disney, I always have to grab more! Pins are great for adding flair to a plain backpack, purse, a coat, button down shirt, or any collared top! To start off, these are my moving pins. Each one of these pins moves in a certain way. The castle’s firework spins; the soarin kite flies back and forth; the Mount Everest’s yeti runs down the tracks; the big thunder railroad’s train rolls down the tracks; the haunted mansion’s coffin opens to reveal a hand; and the tsum tsum pin can be pushed in so only Pluto sits on top or pulled out all the way to reveal three more characters! I think these are just so fun because they all have a little something extra! Next are my ride and park pins! My animal kingdom pin has a little dangling dinosaur, the tree of life and the yeti from Mount Everest! 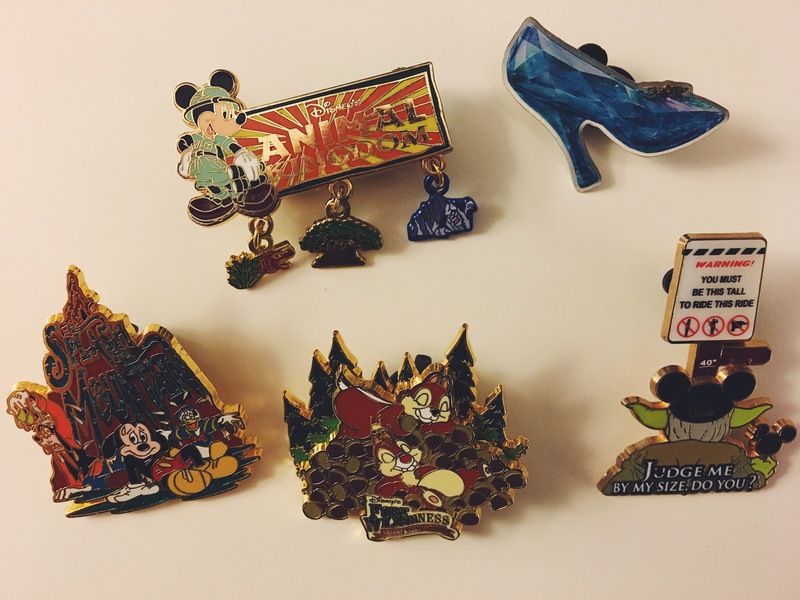 The splash mountain one was actually one of my very first pins! The fort wilderness has Chip and Dale on it and I got it when I stayed there on one of my very first trips! I got the Cinderella shoe when the live action Cinderella movie came out and the yoda was a must have because I love Star Wars! 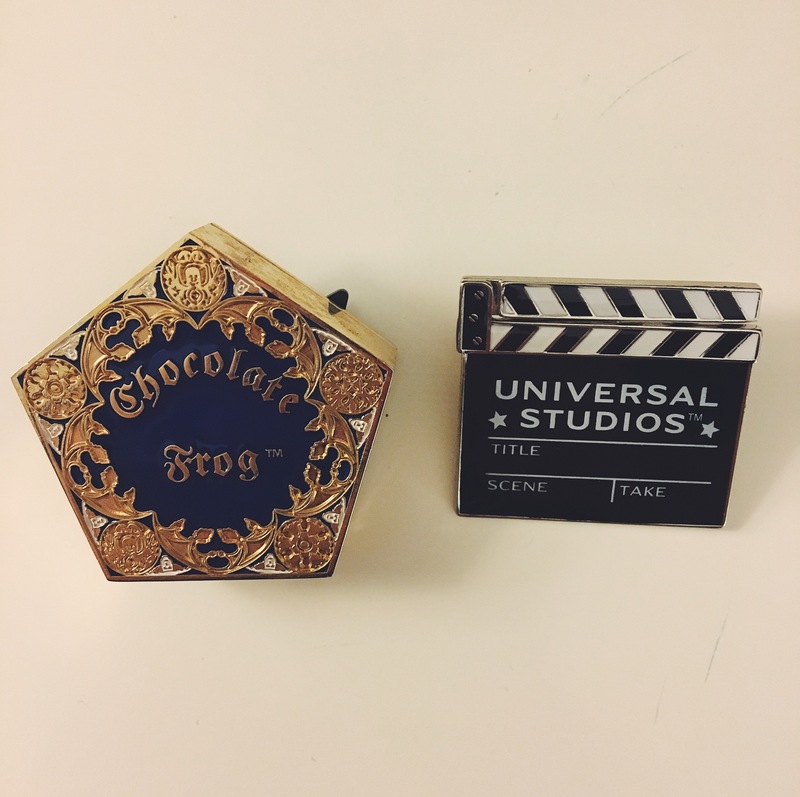 These two pins are ones that have to do with my boyfriend, Sebastian, and I! 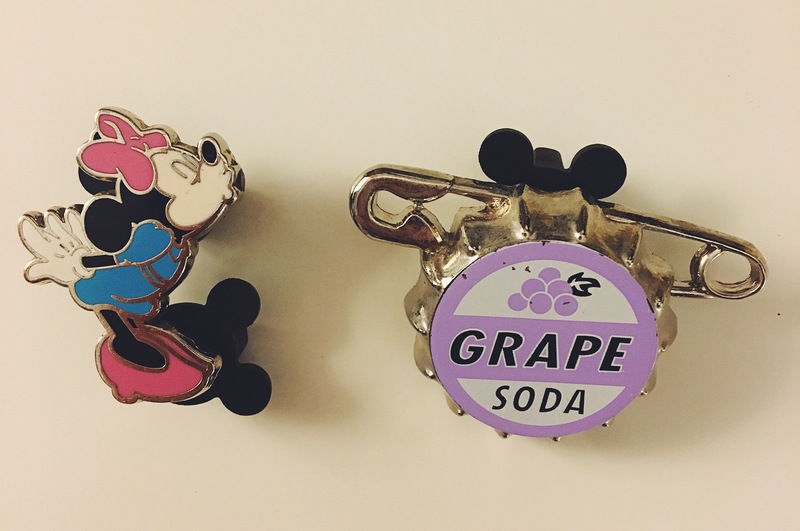 So the grape soda is from UP and it’s one of the pins that Ellie and Carl have! So on a trip to Disney for band my freshman year, Sebastian bought me the Grape Soda one! Then for the Minnie one, it’s one of Disney’s era of pins. So I got these for Sebastian and I when I went to Disney last summer and it’s Minnie and Mickey kissing. I kept the Minnie and Sebastian has the Mickey so we have matching pins! Next are my Universal Studios pins! I went last summer as well and I’m a die hard Gryffindor and even more die hard Harry Potter fan! 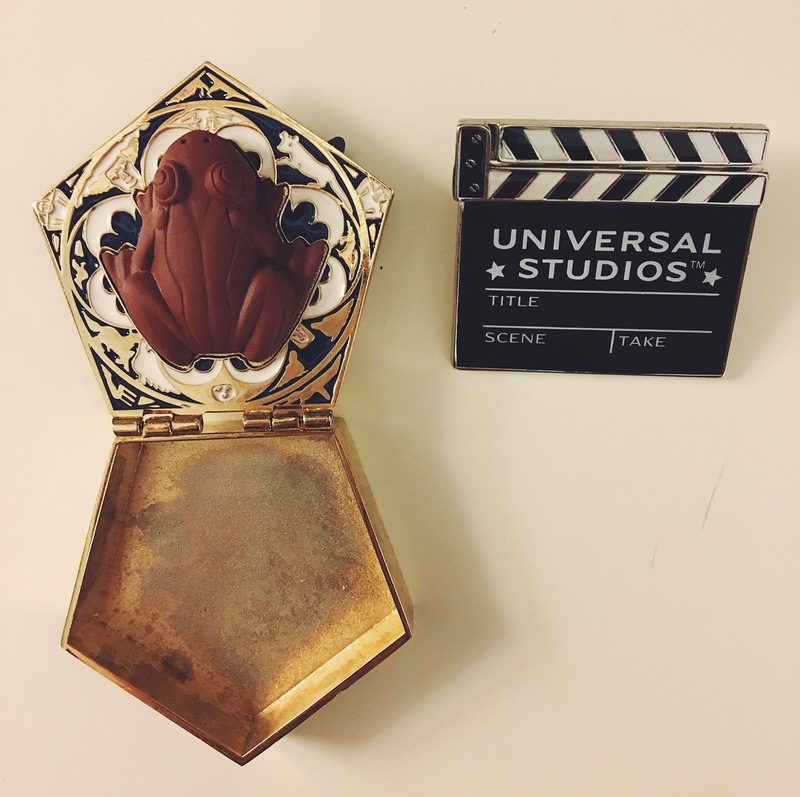 So of course I had to pick up a Chocolate frog pin! The case flips open to reveal a frog that even smells like chocolate! Then I also got a simple Universal Studios old school movie pin! 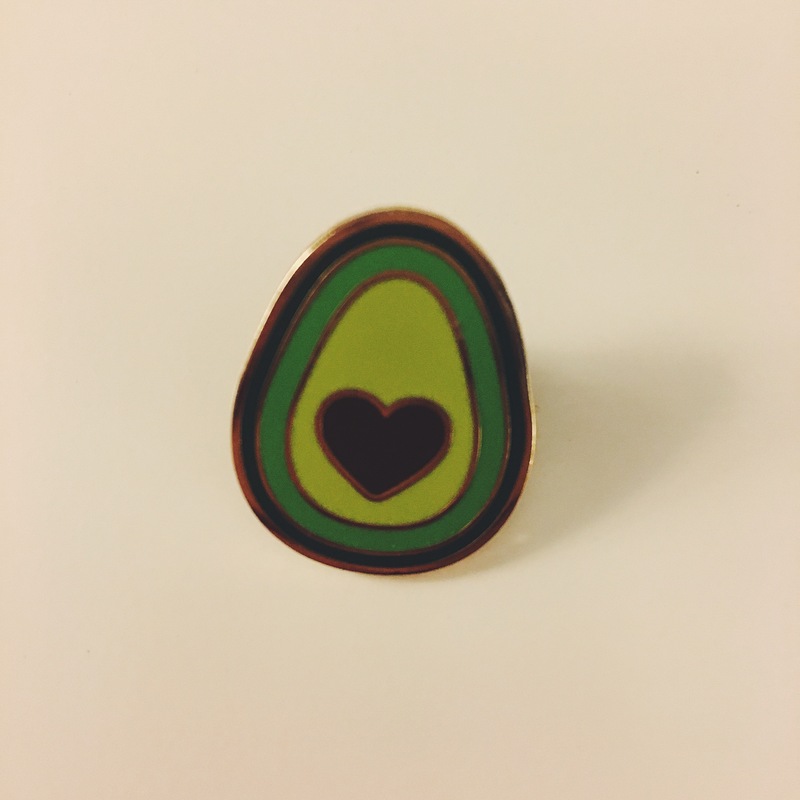 Lastly, I have my avocado pin! Sebastian bought this for me on our 3 year anniversary date when we went to the art museum! I have this thing with avocados and I just thought the little seed being a heart was so cute! He saw me staring at it and bought it for me haha! 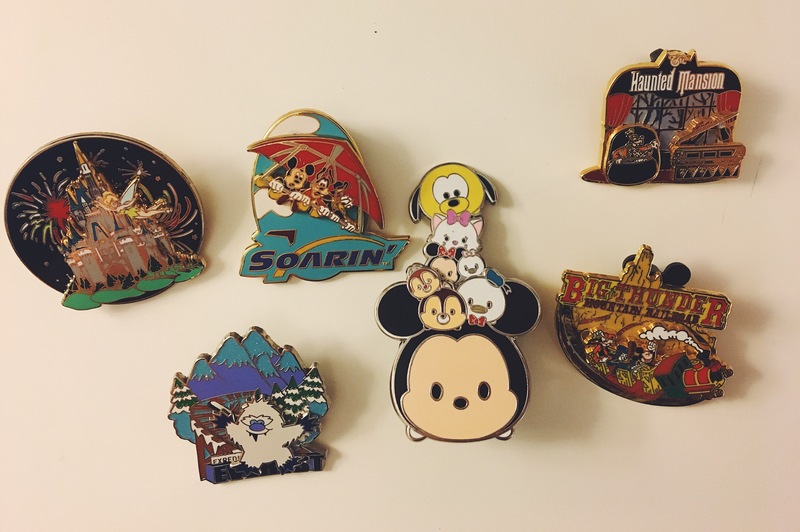 So that is my current pin collection but it will be growing A LOT when I go to Disney in a few weeks! I can’t wait to snag a few more and hopefully some limited edition ones! Thanks for reading y’all! Please check out the rest of my blog and check out follow tab or the widget on the side to find me and my blog on social media! Happy reading!